On February 14, 1905 Frank Lloyd and Catherine Wright departed Oak Park for a trip to Japan. They headed west, and one week later departed from Vancouver, BC on the Empress of China with Ward and Cecilia Willits (1901 - S.054). After two weeks at sea, they arrived in Yokahama, Japan on March 7th. For seven and a half weeks they toured Japan, finally arriving back to Oak Park during the middle of May. A year after this trip he was contacted, most likely by Frank M. Pebbles Jr. to remodel their shop. The trip to Japan left a lasting impression on Wright, evidenced in the finished result of Pebbles and Balch. Alonzo W. Pebbles was a prominent and long time business man in Oak Park. He was born in New York, in 1842. His family moved to Wisconsin and in 1962 he married Elizabeth J. Reed in Beaver Dam Wisconsin. At the age of 24, they moved to Oak Park, and he found a job working in a paint shop for the railroad. After three years he established his own paper hanging (wall paper), painting and interior decorating business on Lake Street in 1869. Drywall (sheet rock) did not become prevalent until the 1920s. One common practice was to cover interior walls with sheets of dense cardboard, creating a smooth surface, then applying wallpaper. Hence the demand for wallpaper and "paper hangers". Alonzo partnered with William Patterson for two years, then replace William with his brother Samuel Eugene Pebbles. The firm of A. W. and S. E. Pebbles was established. In 1898, it was the oldest established business in Oak Park. In 1883 they moved the store to 144 Lake Street, which later became 1107 Lake Street, the address that Frank Lloyd Wright remodeled. 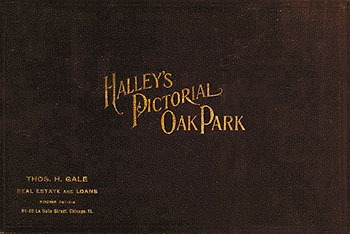 The business prospered in the late 1890, and according to "Halley’s Pictorial Oak Park", employed more people than any other private business in Oak Park. Alonzo and Samual had a third brother who was a well know portrait artist, Frank M. Pebbles. 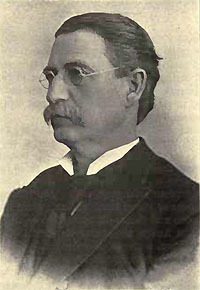 His son, Frank M. Jr. joined his uncle’s firm in 1896. Two years later, on May 15, 1898 Samuel past away, leaving his interest in the business to his wife. Oscar B. Balch was born in Pennsylvania, moved to Oak Park in 1890, where he joined the firm of A. W. and S. E. Pebbles. Alonzo W. Pebbles past away in 1905, leaving management to his nephew Frank M. Pebbles Jr. Whether he purchased his two uncles interest in the business or he and Balch made arrangements, shortly after Alonzo’s death, the name was changed to Pebbles and Balch. 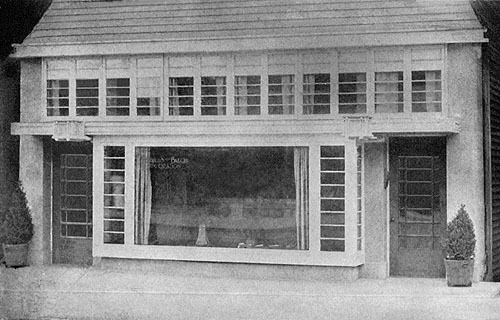 It was shortly after that in 1906, that Wright was approached to remodel their shop. It is not clear which partner approached Wright, but Pebbles was the dominate partner in the business and a member with Wright, of the Unity Church in Oak. Fire struck the original church building in June, 1905, and construction was not completed until October 1908. So it seems reasonable that It would have been Pebbles who was more closely involved with Wright, and been the one to approach him. 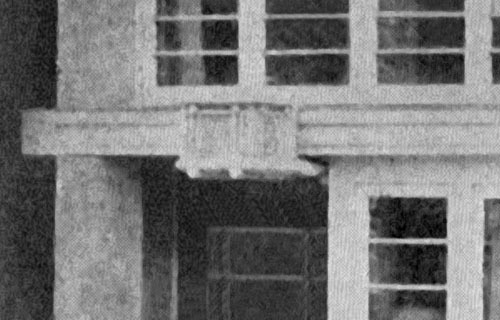 The photograph taken in 1907, taken just after the completion, showed "Pebbles and Balch Decoration" stenciled in the front window. According to the "Annual report of the factory inspectors of Illinois" for 1908, (published in 1911) page 644, Pebbles and Balch had a work force of 25 employees. The partnership did not last long. In 1908, a year after the shop was remodeled, Balch left to form the Balch-Linder Shop with Augustinus Linder, coincidentally just across the street at 131 Lake Street, Oak Park. Both Pebbles and Balch remained friends with Wright. Pebble was a member with Wright, of the Unity Church in Oak Park ("Unity Temple", Siry, 1996, p83 n89.) Oscar Balch retained Wright to design his home in 1911 after his return from Europe. Alonzo W. Pebbles, circa 1895. Courtesy of Halley's. With the split up of Pebbles and Balch, Frank carried on his uncles tradition, renaming the shop F. M. Pebbles Company. His wife was also involved in the business. Frank M. Pebbles Jr. married Grace M. Findeisen on June 7, 1905, in Berwyn, Illinois, just south of Oak Park. Grace was the oldest daughter of Frederick and Evelyn (Palmer Shaw) Findeisen. Frederick was president of Findeisen & Kroff Manufacturing Co., a major manufacturing company in Chicago, employing over 800 people. Grace was a designer in her own right. 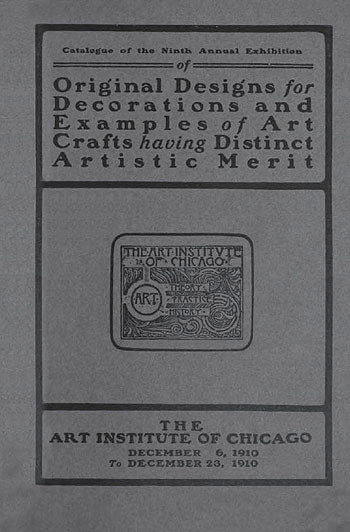 During December 1910, she exhibited at the Ninth Annual Exhibition of Original Designs for Decorations, held at the Art Institute of Chicago, under the title of "Designer, Maker". During the 1930s, the F. M. Pebbles Company moved from Lake Street, one block south to 1126 Westgate, in Oak Park. After operating a number up upscale restaurants, Grace opened the Blue Parrot Patio Tea Room in a building behind her husband’s shop. 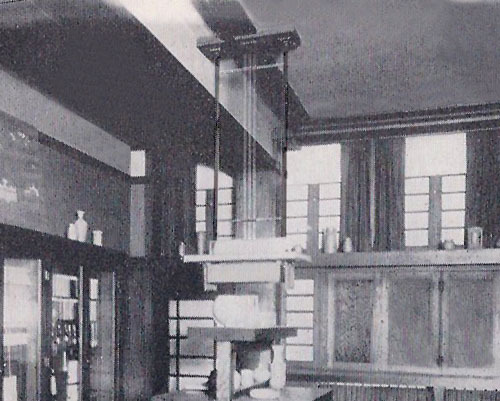 She contacted Wright in 1934 to design a portion of the space within the restaurant. According to Lind, "Lost Wright", it consisted of cabinetry and a mural designed by one of his apprentices William Fyfe. 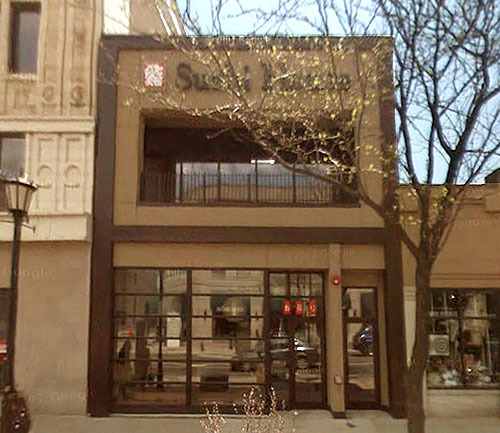 After the F. M. Pebbles Company vacated their original Lake Street shop, the Leo Bramson Dress Shop moved into the empty space. In 1937 Bramson approached Wright to remodel the store one more time. 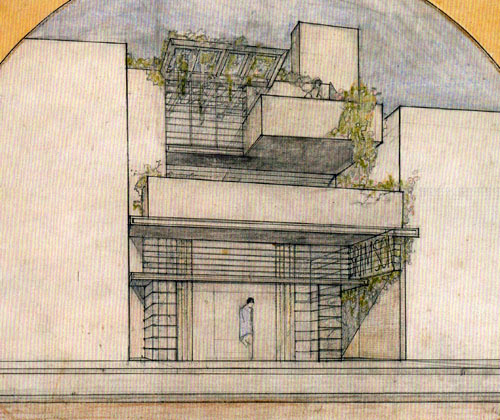 A beautiful design with cantilevered balconies, but sadly remains a project to this day. The building was demolished and replaced in the 1950s. Wright’s trip to Japan had an impacted on his design of Pebbles and Balch. As Grant Manson describes so aptly "The effect (of Wright’s design) is decidedly Japanese in spirit." From the continuous horizontal band of clerestory, screen-like windows, to the addition of the pitched roof across the front of the building. 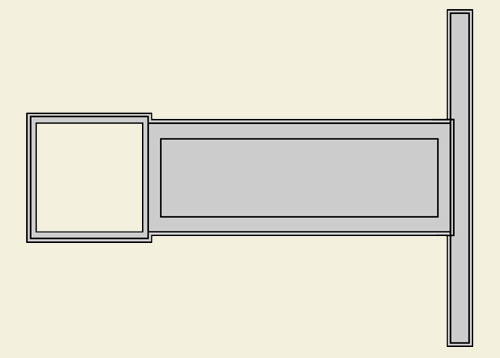 The design of the clerestory windows with wood muntins (thin bands of wood), was similar to the earlier Peter Beachy House Remodel (S.117) in 1906. Wright designed the large show window as an enclosed display area, blocking exterior activity, giving privacy to clients shopping inside. Wright compensated for the blocked daylight by an unobstructed band of clerestory windows. Of interest are the two exterior light fixtures. They are very similar to the fixtures of the Waller Gate (1901 - S.065) and the Frank L. Smith Bank (1905 - S.111). The interior reflected Wright’s prairie style. Bands of horizontal trim, natural wood and warm earth tones and stained glass lighting fixtures. The interior glass fixture seems to be a scaled down, less complex fixture than the Browne’s Bookstore (1907 - S.141) fixture. All the wood cabinetry was designed by Wright. There were wood framed cabinets with glass doors for displaying decorative objects to entice any homeowner in Oak Park. 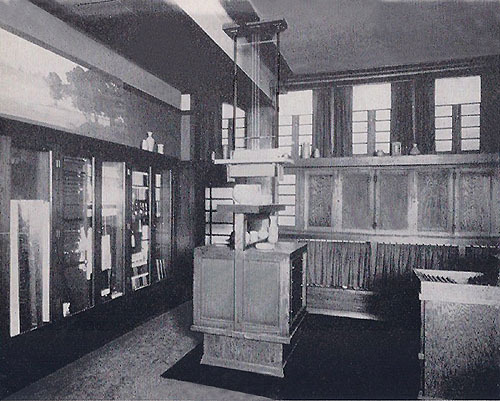 Being a "paper-hanger’s" shop, Wright also designed some of the cabinetry to hold and display rolls of wallpaper. There are few photographs that survived of the Pebbles and Balch remodeling by Frank Lloyd Wright. These two (below) were taken just after completion of the remodel and were acquired by Grant Manson. The exterior was first published in "In The Nature of Materials: 1887 - 1941", Hitchcock, 1942. Hitchcock indicated "Photo courtesy of Grant C Manson". Manson could not have taken them in 1907-08, he would have been only three to four years old at the time. He published both photographs in "Frank Lloyd Wright to 1910", 1958. In Manson's Illustration Credits, he indicates that "Another source of illustrations of erected buildings of the Oak Park Period are the remaining photographs of the set made around 1910 by Henry Fuermann of Chicago...", but is not specific as to the origin of these two images. Wright’s trip to Japan had an impacted on his design of Pebbles and Balch. As Grant Manson describes so aptly "The effect (of Wright’s design) is decidedly Japanese in spirit." The clerestory windows with wood muntins (thin bands of wood), are similar to the earlier Peter Beachy Residence Remodel (S.117) and the Frederick D. Nichols Residence (S.118), both in 1906. Wright designed the large show window as an enclosed display area, blocking exterior activity, giving privacy to clients shopping inside. Wright compensated for the blocked daylight by an unobstructed band of clerestory windows. Of interest are the two exterior light fixtures. They are very similar to the fixtures of the Waller Gate (1901 - S.065) and the Frank L. Smith Bank (1905 - S.111). The interior reflected Wright’s prairie style. Bands of horizontal trim, natural wood and warm earth tones and stained glass lighting fixtures. The interior glass fixture seems to be a scaled down, less complex fixture than the Browne’s Bookstore (S.141) fixture. All the wood cabinetry was designed by Wright. There were wood framed cabinets with glass doors for displaying decorative objects to entice any homeowner in Oak Park. 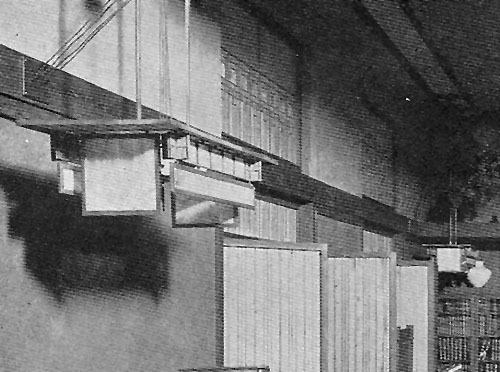 Being a "paper-hanger’s" shop, Wright also designed some of the cabinetry to hold and display rolls of wallpaper. 1: The continuous horizontal band of clerestory, screen-like windows are similar to the windows of the earlier Peter Beachy Residence Remodel (S.117) and the Frederick D. Nichols Residence (S.118), both in 1906. The two exterior light fixtures are very similar to the fixtures of the Waller Gate (1901 - S.065) and the Frank L. Smith Bank (1905 - S.111). Photograph restored and enhanced by Douglas M. Steiner. 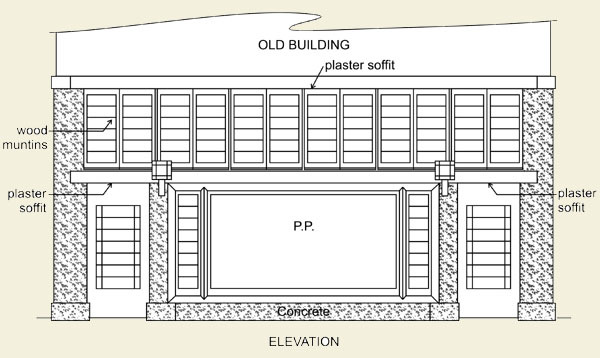 2: Adaptation of store front from original drawing by Douglas M. Steiner. 3: Peter Beachy Residence Remodel (S.117). The Pebbles and Balch clerestory windows with wood muntins, are similar to these windows in the earlier Beachy Remodel of 1906. 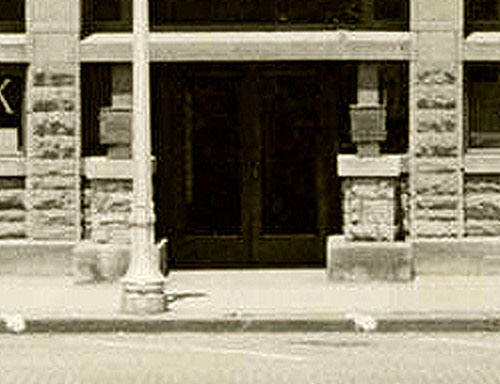 1: The two Pebbles & Balch exterior light fixtures are very similar to the fixtures of the Waller Gate (1901 - S.065) and the Frank L. Smith Bank (1905 - S.111). A letter "B" can faintly be seen on the right side of this fixture. 2: Adaptation of exterior light fixture from above photograph by Douglas M. Steiner. 3: Waller Gate (1901 - S.065). 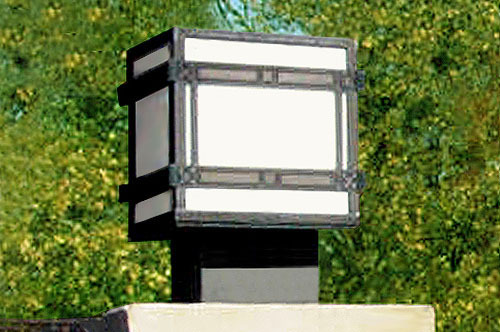 The Waller Gate Lantern is similar to the Pebbles & Balch light fixture as well as the Frank L. Smith Bank (1905 - S.111). Photographed by Grant Manson. 4: Detail of the Waller Gate Lantern today. 5:The Frank L. Smith Bank (1905 - S.111). 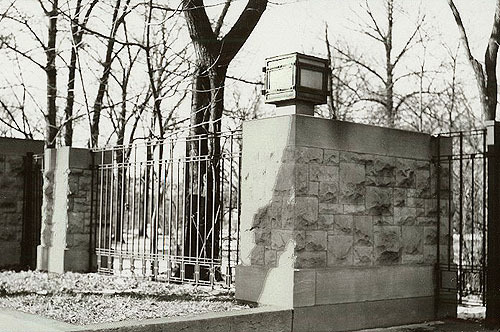 In this early image photographed by Gilman Lane between 1935-1941, the lanterns positioned atop the pedestals at the entrance are similar to the Pebbles & Balch light fixture. 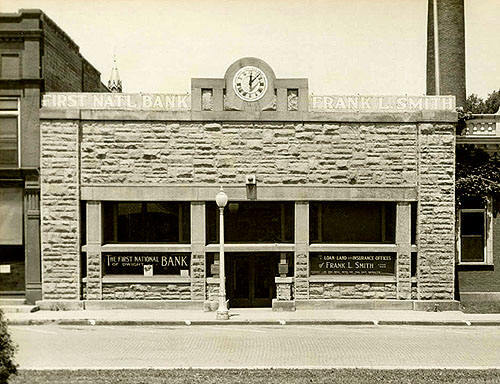 5a: Frank L. Smith Bank. Detail from above image: The lanterns positioned atop the pedestals at the entrance are similar to the Pebbles & Balch light fixture. 1: The interior reflected Wright’s prairie style. Bands of horizontal trim, natural wood and warm earth tones and stained glass lighting fixtures. The interior glass fixture seems to be a scaled down, less complex fixture than the Browne’s Bookstore (S.141) fixture. All the wood cabinetry was designed by Wright. There were wood framed cabinets with glass doors for displaying decorative objects to entice any homeowner in Oak Park. Being a "paper-hanger’s" shop, Wright also designed some of the cabinetry to hold and display rolls of wallpaper. Photograph restored and enhanced by Douglas M. Steiner. 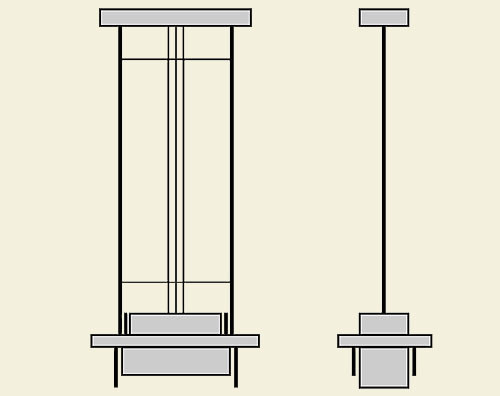 2: The interior glass fixture is similar, but less complex fixture than the Browne’s Bookstore fixture. 3: Adaptation of interior light fixture from above photograph by Douglas M. Steiner. 4: Browne’s Bookstore Fixture (1907 - S.141). This fixture is similar, but more complex than the Pebbles & Balch fixture. 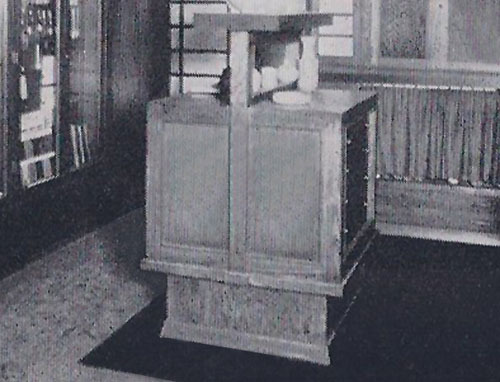 1: All the wood cabinetry was designed by Wright. There were wood framed cabinets with glass doors for displaying decorative objects to entice any homeowner in Oak Park. Being a "paper-hanger’s" shop, Wright also designed some of the cabinetry to hold and display rolls of wallpaper. 2: Adaptation of cabinet from above photograph by Douglas M. Steiner. 1: Bottom right hand corner of interior photograph. All the wood cabinetry was designed by Wright. 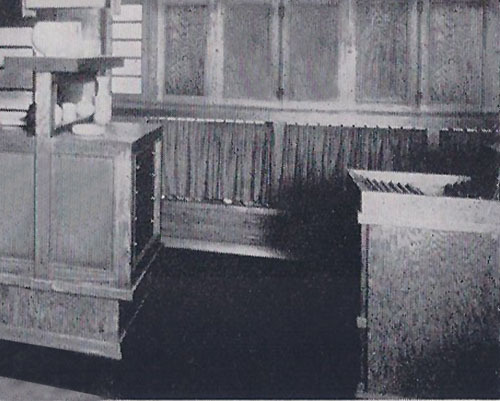 Although the cabinet on the right is not completely visible, it appears to be the cabinetry Wright designed to hold and display rolls of wallpaper. 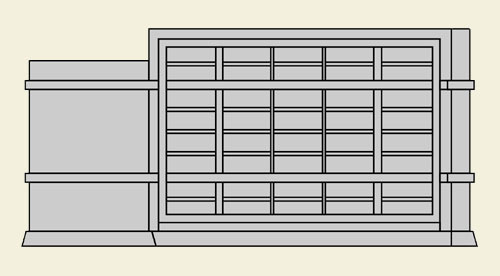 2: Rear elevation for the cabinetry Wright designed to hold and display rolls of wallpaper. 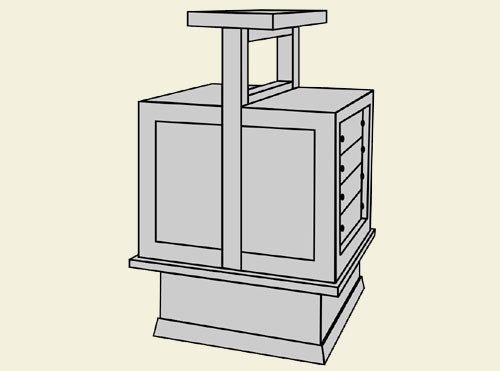 Adaptation of cabinet from original drawings by Douglas M. Steiner. 3: Floor Plan for the cabinetry Wright designed to hold and display rolls of wallpaper. 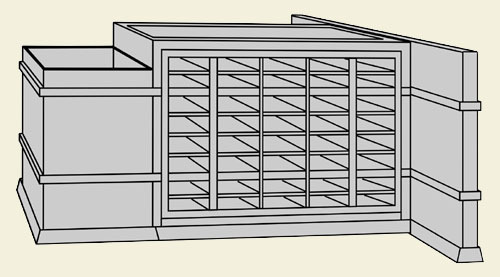 Adaptation of cabinet from original drawings by Douglas M. Steiner. 4: Three dimensional adaption of the cabinetry Wright designed to hold and display rolls of wallpaper. Adaptation of cabinet by Douglas M. Steiner. After the F. M. Pebbles Company vacated their original Lake Street shop, the Leo Bramson Dress Shop moved into the empty space. In 1937 Bramson approached Wright to remodel the store one more time. A beautiful design with cantilevered balconies, but sadly remains a project to this day. The building was demolished and replaced in the 1950s. Courtesy of The Frank Lloyd Wright Foundation. 1107 Lake Street, Oak Park. The building Frank Lloyd Wright remodeled was demolished and replaced in the 1950s. Courtesy of Google. The history of Oak Park, Illinois up through 1898. Includes information and a biography of Alonzo W. Pebbles, one of the original founders of Pebbles & Balch. Also indicates that Anna L. Wright and Catherine L Wright (Frank Lloyd Wright’s mother and wife) were on the board of the Nineteenth Century Club (P 84). This copy originally belonged to Thomas H. Gale, "Real Estate and Loans". Gale was a client of Wright's in 1892 and 1897. This copy courtesy of the University of Illinois Library, at Urbana-Champaign. Description: December 6 To December 23, 1910. 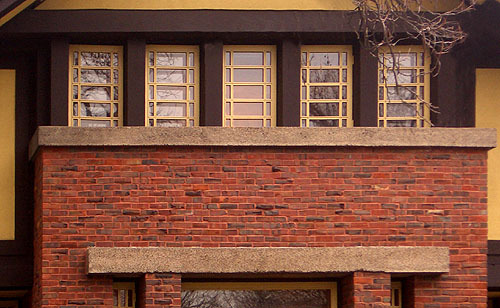 In 1907 Frank Lloyd Wright designed the shop for Pebbles & Balch, Oak park (1907 - S.131). Mrs. Grace M. Pebbles exhibited five items at the show. This gives us a glimpse into the types of merchandised, other than wallpaper, that was available at Pebbles & Balch. Item 908:Screen, pine tree design, mahogany mount. 909: Curtain, Silk, horsechestnut design. 910: Flower holder, brass, narcissus design. 911: Necklace, silver gilt and coral. 912: Box, brass. See our Wright Study on the Pebbles & Balch Remodel. "In The Nature of Materials: 1887 - 1941", Hitchcock, 1942, plate 134. "Frank Lloyd Wright to 1910", Manson, 1958, Pages 165-166. "The Frank Lloyd Wright Companion", Storrer, 1993, Page 132. "Lost Wright" Lind, 1996, Pages 138-139, 147. Edited and Photographed: Futagawa, Yukio, 1991, Pp 43. Edited and Photographed: Futagawa, Yukio, 1990, Pp 32. Edited and Photographed: Futagawa, Yukio, 1990, Plate 104. "Frank Lloyd Wright - Field Guide, Vol 2", Heinze, 1997, page 74. "Frank Lloyd Wright, Complete Works 1885-1916", Pfeiffer, Gossel, 2011, page 301. "Frank Lloyd Wright, Complete Works 1917-1942", Pfeiffer, Gossel, 2010, page 302. "Frank Lloyd Wright's Nakoma Clubhouse & Sculptures." 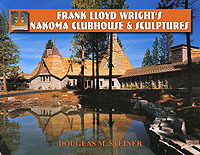 A comprehensive study of Wright’s Nakoma Clubhouse and the Nakoma and Nakomis Sculptures. Now Available. Limited Edition. More information.